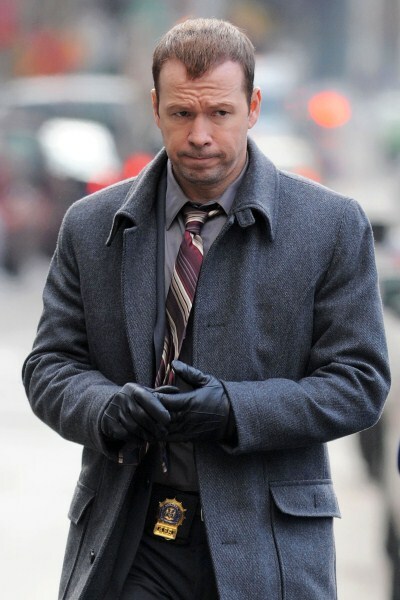 Did you watch last week’s episode of Blue Bloods when Danny called Frank “Romeo”? If you missed any of the episode, you can catch our full official recap HERE. Episode Synopsis: Erin prosecutes a woman accused of killing her husband, the defendant’s attorney is murdered and Danny is assigned to the investigation. When Danny is put on the stand to be questioned, things get heated between the brother and sister. Blue Bloods is a drama about a multi-generational family of cops dedicated to New York City law enforcement. Frank Reagan (Tom Sellek) is the New York Police Commissioner and heads both the police force and the Reagan brood. Frank’s father, Henry (Len Cariou), used to be the Chief. Frank’s eldest son, Danny (Donnie Wahlberg), is a seasoned detective and Iraq War vet who has a loyal partner, Detective Jackie Curatola (Jennifer Esposito). The women in the family are just as bold as the men, Erin (Bridjet Moynahan) is a N.Y. Assistant D.A. Jamie is the youngest Reagan, a recent grad of Harvard Law who gave up a lucrative future in law and follow in the family footsteps as a cop. The show airs tonight at 7:00pm ET and we will be live blogging all the details. So don’t forget to come back and refresh your screen often for live updates. While you wait for the show – check out the sneak peek video of tonight’s episode and let us know what you think of the season so far! RECAP: Danny brings Erin breakfast because she has a big day in court, she tells him this is a tough one, she already had steak and eggs and a B12 shot. Erin is in the courthouse, during her opening dialogue she claims the wife stabbed the husband to death. The defence tries to paint a different picture where the accused Anne Delamar had nothing to do with the murder and her husband, the victim was involved in some shady business dealings. Erin leaves the court house with Jamie, he was sitting in to watch the trial. The defence attorney, Mr. Kelly meets up with her and she tells him that she didn’t appreciate his comments about her personal life in court. He tells her to lighten up a bit and walks away, he leaves his briefcase behind. Erin goes after him and finds him sitting on a park bench, she calls his name and when he doesn’t answer, she touches his shoulder, he falls over because he is stabbed dead. Danny is on the scene of the crime, he is asking her questions because she was the last person to see him alive. Danny jokingly tells her not to leave town. Frank is at work discussing a credit card fraud that Garrett brings to his attention. It’s a restaurant scam and he thinks Jimmy may be in on it, but it in the end he isn’t and Frank is happy. Erin is in front of the judge, she wants to declare a mistrial but the defence does not want to. The judge rules to continue with the case. Danny has Kelly’s cell phone, he got a text to meet someone at the park, Mr. “M”, looks like he had a date with the killer. In court, the housekeeper testifies that she found Mrs. Delamar with a letter opener in her hand, blood on it and Mr. Delamar was dead. She goes on to say that the marriage was troublesome, lots of fighting. The defence asks the housekeeper if Mr. Delamar had a visitor the day before, she says yes, it was a Mr. “M”. Danny meets up with Erin, he tells her that Kelly was meeting with a Mr. M, Erin tells him that the victim also met with one but she thinks Kelly was probably got killed by a sleazy client. A Mr. Harris is now on the witness stand, he said that Mr. Delamar was complaining about a credit bill because his wife spends too much money, the next morning he was dead. Danny has the case file, the prenup is in it, as well as phone records but Jackie tells him it was a prepaid phone which is untraceable. Danny heads to a crab house with Jackie to meet Monroe, but he calls Danny at the last minute, he wants him to meet outside and get in the car with him. Danny is outside and the car comes straight at him, tries to run him down. Jackie runs over to Danny to see if he is ok, she turns around and shoots at the car, but it drives off. Erin meets up with Danny, he tells her that Mr. M tried to kill him last night. The defence calls Danny to the witness stand, they want to know if Mr. M is the person that tried to kill him and want to know if he thinks that Mr. M is a murderer. Furthermore, did Danny think Mr. M could have killed Mr. Delamar? Erin tries to object, but she is overruled. Danny goes on to say that he thinks Mr. M tried to kill him because he was afraid of being exposed as the killer of Mr. Delamar. Erin’s turn to cross question Danny, she does a good job and puts doubt in the jury’s mind but he is convinced that Mr. M is the person they need to be looking for because when he called the number on Kelly’s phone, he almost got run down a few hours later and doesn’t think it is a coincidence. The Reagan’s are at a family dinner and the tension between Danny and Erin is really thick, he loses it and tells the family that she made the family of cops look like a bunch of clowns. Everyone else finds it amusing, then they start debating about the trial until Henry interjects and tells Danny and Erin to do the dishes. Danny is at work with Jackie, he is trying to figure out what beef Monroe could have had with Monroe and they figure out it has to do with some stocks. Jackie tells him that Monroe would have access to those documents at a legal printer. Danny heads to the the printer and talks with the guy in charge, he takes him for a walk in the production room and points out a guy named “Monroe”, when Danny turns around and looks at him, Monroe takes off running. It only takes Danny a minute to catch up with him. Danny and Jackie have Monroe in custody, they have his phone records and the details of his accounts in the Cayman Islands. They tell him that they know he and Delamar partnered up and he killed him to take all the money. Monroe tells them that he was in Las Vegas the night Delamar was killed. He goes on to say that when he visited Delamar a week before he died he found him in his office screwing an older blond lady. Danny and Jackie go to meet Mrs. Harris, her husband testified in the case. She admits that she was in love with Delamar, they confessed their love 35 years later. She says that she and her husband had dinner with the Delamars the night of his death, but she left the restaurant and went home, but not before confessing that she told her husband that she had an affair. Mr. Harris walks in and confesses, then he says that he is going to call a lawyer. Erin tells Danny that they dropped the charges against Mrs. Delamar, she also apologizes to Danny but tells him she was just doing her job, which he tells her she was doing a little too good.